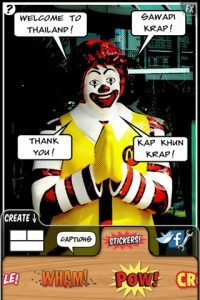 ComicBook! is an innovative new app for both iPhone and iPad from 3DTOPO which allows you to transform your own photos into a comic strip. The simple interface allows you to create some fun comics from your photo library and upload them directly to your Facebook page, all from within the app. The bottom of the nav-bar contains a small tab labeled “Create” which is where you’ll spend a majority of your time. The first area of the “create box” is for panel templates. Here you’ll find over a dozen pre-made templates in both portrait and landscape. There”s a good mix of sizes and numbers per page, so you should easily be able to find a suitable one to help tell your story. Once you have selected a template, it”s am easy matter of tap-and-slide to select existing photos from your library. You can also take a new photo using your iPhone”s camera. As soon as you have a photo in your panel, an editing tab labeled “FX” opens. The FX tab allows you to add a variety of visual effects to your picture, many of them with sliders for color and contrast. The casino online biggest draw casino online to the FX tab is the “half tone” effect, which will allow you to give your comic a fun retro feel. The “half tone” has three separate size options, which increase or decrease “graininess” of the panel. Not every panel has to have the same effect, so you can have a lot of variety in each panel, if you want. Additionally, you can also resize your photo within the frame, online casino’s zoom in and out, as casino online well as being able to turn it to any angle you’d like. After (or during) the photo editing you can take another trip to the create box where you’ll find thought and word bubbles as well as strip label tools. The variety here is good as well, especially since you can change the font and size of your dialogue, as well as giving each bubble its own fill color. Rounding out your editing tools are the stickers which will allow you to convey both sound and visual effects on your strip. Once you’re done with the finishing touches you can save or email your creation, or upload it directly to Facebook or Twitter. 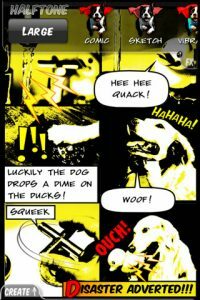 ComicBook! is only really limited by the devices that it was designed for – the small screen of the iPhone and iPod can get pretty crowded, and it can be a little difficult to position the word bubbles exactly how you’d like them. 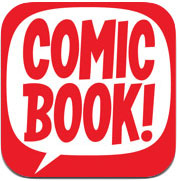 Bottom Line: ComicBook! 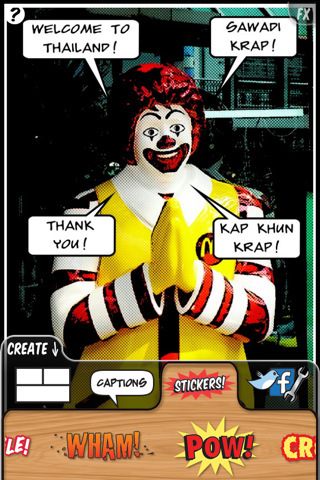 is a great little iPhone app that will allow casual users to create fun comic strips from their own photo collection. 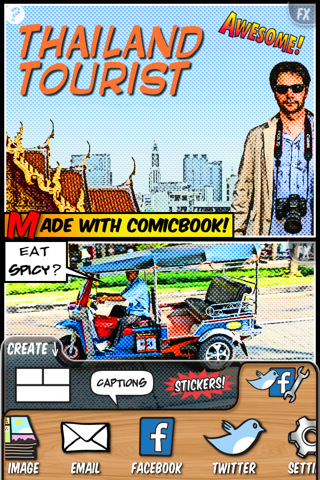 The more creatively-minded will find the tools here to make a decent graphic novel on-the-go. 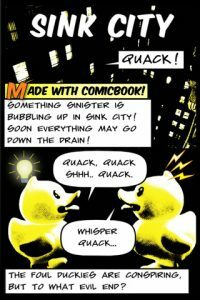 ComicBook! is compatible with iPhone, iPod touch, and iPad. Requires iOS 4.0.2 or later.